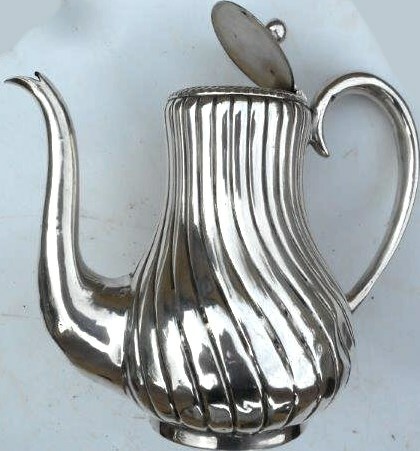 Lot 172 North British Rly - Silver Plated "COFFEE POT". Marked on the bottom - NB Ry. 7½ Tall. Nice condition.